Deleting or moving a few files may make the difference between a smooth October 2018 Update and frustration. If you have a tablet or older laptop with just a tiny bit of storage available, pay attention: Microsoft's upcoming Windows 10 October 2018 Update may cause you some headaches unless you tidy up. In a support document, Microsoft acknowledges that Windows 10's Windows Update fails to check PCs for adequate storage before it kicks off, an oversight that may cause the upcoming feature update to repeatedly fail unless the PC has enough space to download and install it. Microsoft hasn't said exactly how much space the upcoming October Update will require, but the company recommends a "regular regimen of system maintenance to help ensure that updates are successful." That involves regularly banishing unused files to the cloud or deleting temporary files. 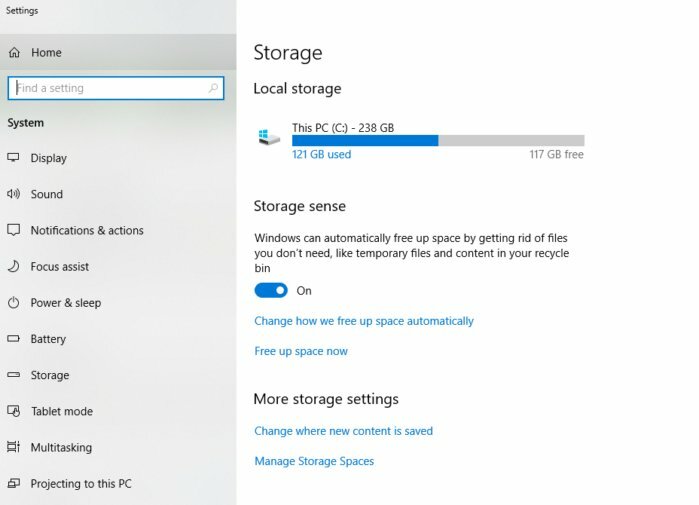 Here's how to find Storage Sense in Windows 10. Clicking the "This PC" bar at the top allows you to dig down into the various file categories. A second alternative is to click the This PC bar at the top of the Settings menu, which (non-intuitively) expands to show various categories of files within your PC: apps, photos, documents, et cetera. 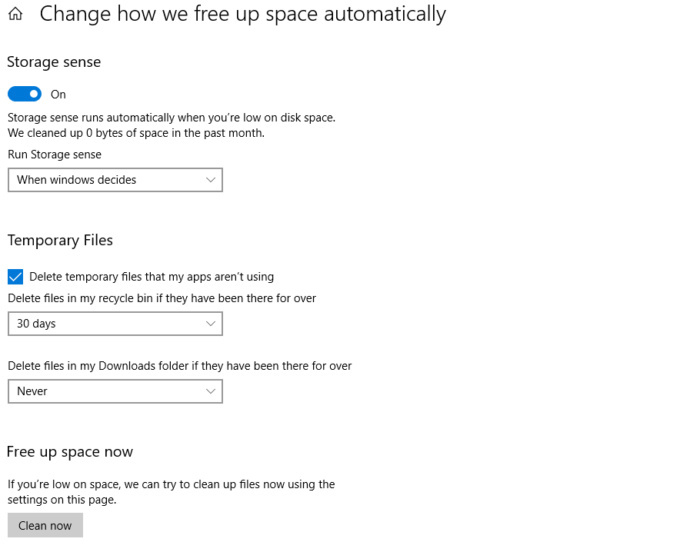 If you click the "temporary files" line, Windows will scan those files and make suggestions of files that can be safely deleted. Finally, there's OneDrive. Though the Web interface can be daunting, you can click the small cloud icon on the taskbar, sign in to OneDrive if you haven't already, and dump files into the cloud. Alternatively, you can use a flash drive or an external hard drive to dump some files while the update takes place. These are the Storage Sense options within the current Windows 10 April 2018 Update. Somewhat ironically, the October 2018 Update includes some features that Microsoft says will facilitate this process in future updates, including an improved Storage Sense that will automatically send files you haven't used in a while into your OneDrive cloud storage. But until the October 2018 Update hits your PC, you won't have access to them. 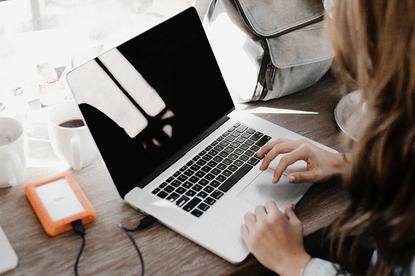 The bottom line: Windows feature updates are sort of a pain, but they're the vegetables that Microsoft makes your PC eat to keep it up and running, and to enable new capabilities over time. A little bit of prep work will help make it easier to digest.